From the first meeting in the showroom an appointment can be made for a designer to visit your house where they will work closely with you in planning all the many different features required, so that your new kitchen not only looks and feels good but is also a practical and pleasant place in which to work. 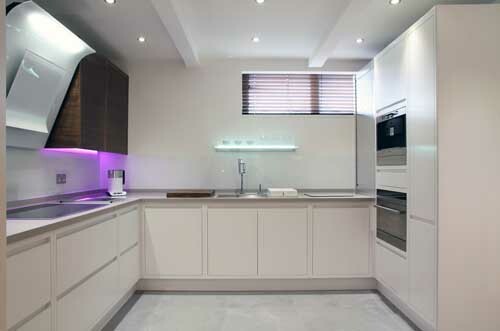 al, visual effects created from strategically placed lighting, not only facilitates a full working environment, but also enhances and highlights the mirror finishes and polished textures that typify our contemporary kitchens. 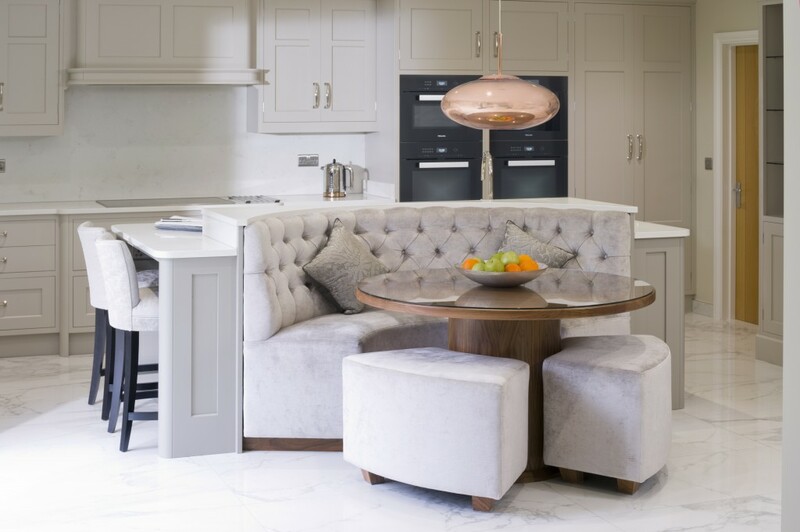 With a choice of tactile finishes, such as high gloss lacquers and glazes, glass and a palette of many different colours to choose from, our contemporary line offers the perfect alternative to a traditional hand-built kitchen without losing any of the quality associated with a classic John Ladbury kitchen. The exciting designs, combined with durability and functionality of the range, creates a perfect family kitchen suitable for everyday living but with a unique style of your own.